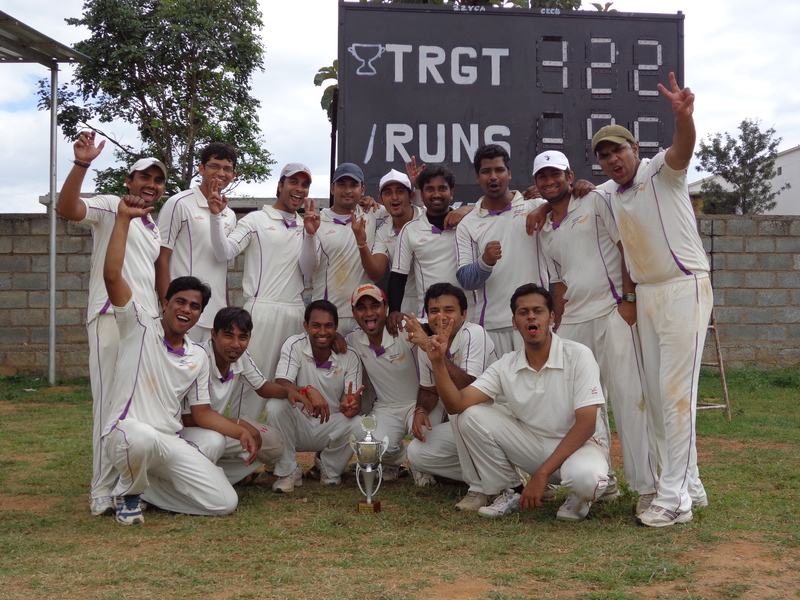 TCE T20 Championship Week 4 Round-Up: GE and NSN post huge wins. CECC and Unisys also win. The two unbeaten teams from Group A squared off against each other. The long and powerful batting lineup of Boltz versus the all round strength of GE promised a lot more than what panned out over the next three hours after Sandeep won the toss and elected to bat. 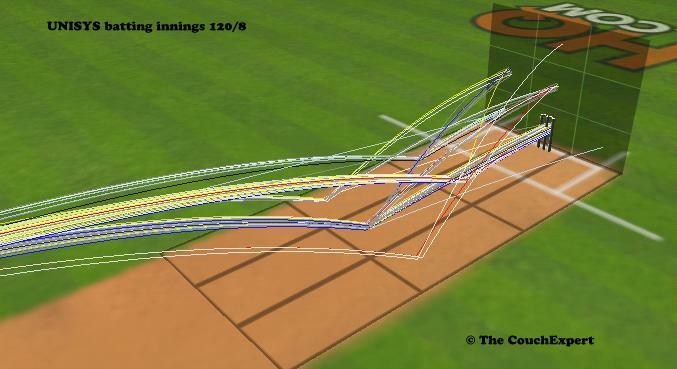 Sandeep pushed himself to open the batting and it lasted all of one ball. He square drove the first ball of the match to Arvind at point and took off for a non existent single. Arvind swooped in and threw it to the keeper to bring GE their first wicket – a gift of sorts on a lazy Saturday morning. Exactly two overs later, it was action replay as Arvind this time chose to throw it to the bowler for the run out. The Buy One Get One offer seemed to be the order of the day with Boltz. 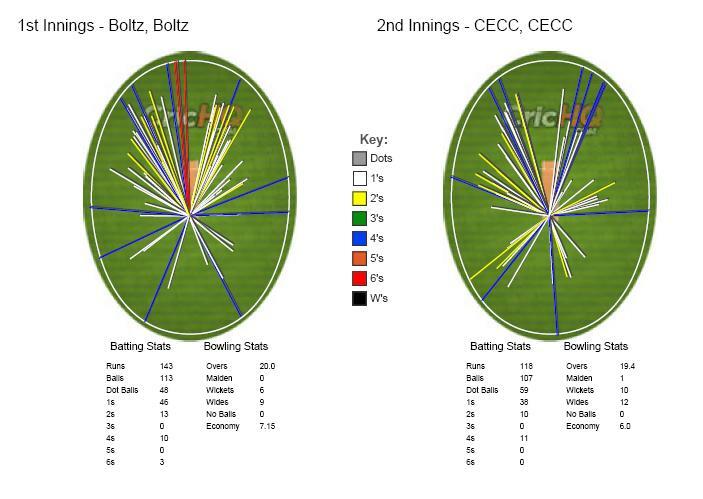 Boltz, true to their batting depth kept coming at the GE bowlers but struggled to put any decent partnerships (a highest partnership of 25 for the 7th wicket is a story in itself). 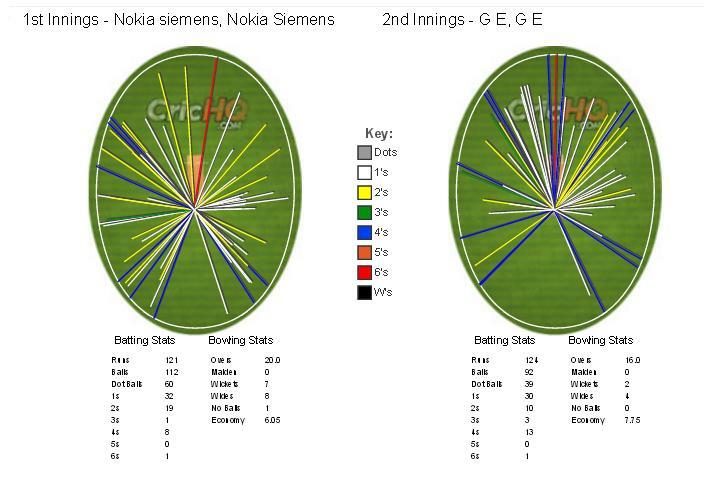 All the while GE’s bowlers and fielders had the Boltz batsmen in a tight leash. Only Jyoti and Vikas had the measure of GE’s bowling, but didn’t produce big enough scores to hurt GE. For GE, the slightly erratic Mallikarjun was benefited immensely by the pressure built at the other end, especially by Arvind, as Boltz’s batsmen tried to go after him and often lost their wickets. Mallikarjun’s 5 for 29 hastened a struggling Boltz innings to a quick end in the 17th over for a paltry 95. 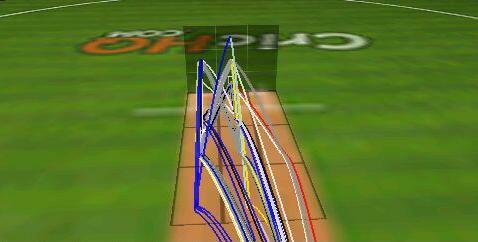 Sandeep took a chance defending a low target by opening with the left-arm spin of Aseem. Aseem had Shimjith caught at point with his second ball and the bizarre batting day continued to chug along in its merry way. Soon, Amit batting at 3 was sent back by Aseem and the possibility of another collapse loomed. GE’s batting mainstays Rajnikanth and Arvind would have none of it as they built a strong partnership. Rajnikanth was his usual self in taking the attack to Boltz’s bowlers while Arvind seems to relish repairing torn innings and be there at the end. He did so for the third time in as many matches this tournament. The rate picked up immensely as the pair spent more time at the crease. Rajnikanth helped himself to another half-century, with the straight six being the highlight of his innings. The win soon came half-way into the 15th over. Sandeep rued a miserable day all round and hoped that his team would bounce back in the remaining games. In start contrast to the morning game, this was a contest where both teams were looking for their first win of the tournament. Both teams were coming into the game having suffered defeats over the last few weeks. EMC won the toss and elected to bat first – a sign of improving confidence (they had inserted the opposition in previous occasion). 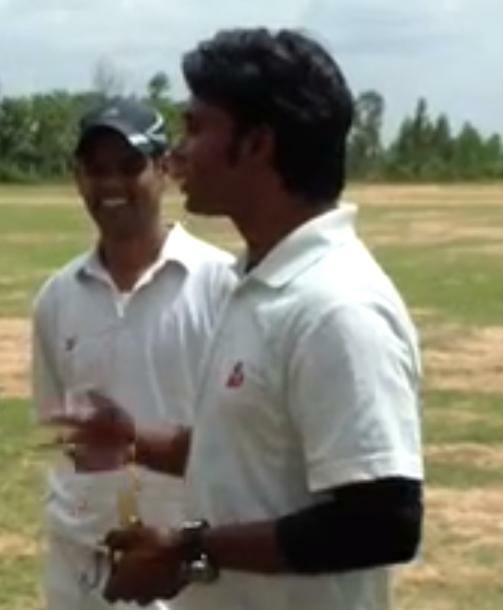 Their captain and perhaps their best batsman, Krishna got out for a duck in the first over to Sanjeev. Ramesh, opening the batting today, looked steady with the bat though he was dodgy between the wickets. 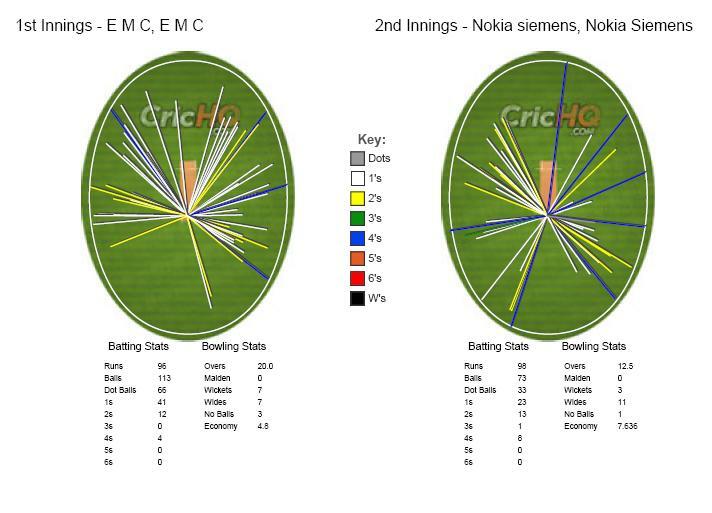 Unisys’s opening bowlers were steady and kept the EMC batsmen in check in the powerplay overs. 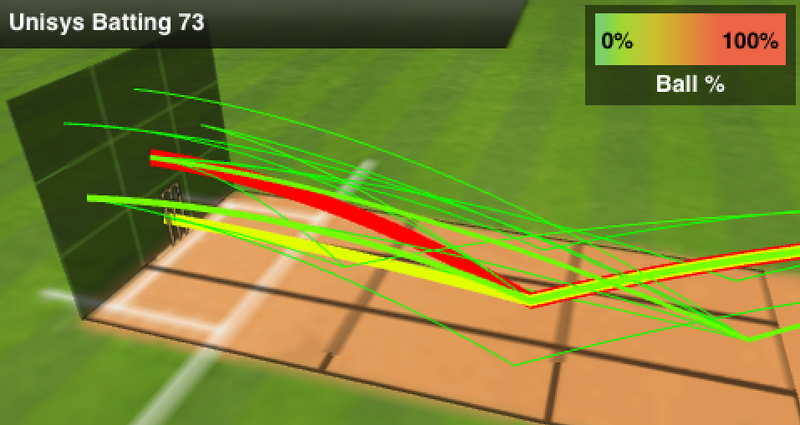 A change of bowling massively altered the pace of the game. Mallikarjun came into the bowling attack and immediate accounted for the wickets of Umesh and Jeethendra. But his bowling fell away drastically as Kushal went after him initially and when Fredrick eventually joined Ramesh, the fielding was losing its wheels too as he was gifted two over-thrown boundaries of the first two balls he faced. For the best part of the next 12 overs the batting pair of Ramesh and Fredrick tore into Unisys’s bowling that was considerably weakened by the absence of its regular captain Harish. The pair was relentless in its strokeplay as boundaries were struck with great regularity. Soon, Ramesh brought up his half-century and kept pressing onwards though he looked tired. Fredrick fell with on ball left in the innings, but he had done his bit in ensuring that Unisys would have to chase a massive total to defeat them. Chasing 160 to win, Unisys opted to come out swinging and they targeted Suresh initially. Though Vivek and Sharath lost their wickets while on the lookout for quick runs, it was Sanjeev who looked to be in total control. 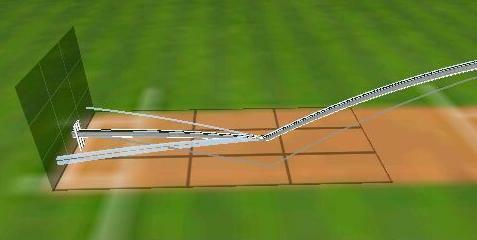 His balance was good as he flicked boundaries on either side of the square-leg umpire when the bowlers bowled straight. He was able to showcase deft hands and touch play when the fine-leg was brought inside the circle and he beat them with regularity. Sanjeev found and able ally in Vikram. Vikram, who plays more with his hands and not his full arms was contrasting in style to the flourishing mannerisms of Sanjeev in play, but equally effective. He found power when he needed it and when he punched them, he found enough timing. The pair soon had the captain and bowlers confused for field placement and lines to bowl as all they tried was being sent to the fence. 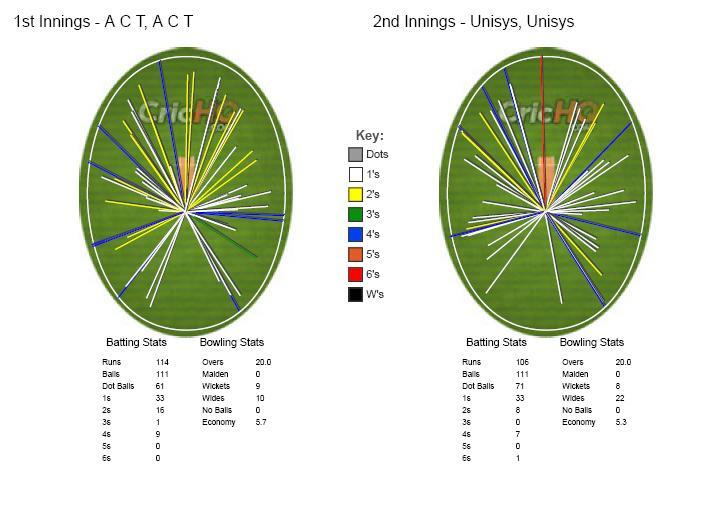 It was inevitable in the end that Unisys won the game quite easily with 14 balls to spare. Overnight drizzle had greased the outfield a little as THBS won the toss and inserted CECC into bat. CECC’s openers Goutham and Harsha soon got off their team to a quick start with 26 runs coming in the first 3 overs. Shreyas then produced a sterling over generating steep bounce off a length troubling both openers. It was a sign of things to come as THBS settled on a decent length from which none of the CECC batsmen could break the shackles from. Both openers were soon sent back as THBS made a sterling comeback to end the powerplay on a high having reduced CECC to 35/2. The pattern of struggling to get legs into the innings continued as Jobin and Shoukath found it difficult to force pace. Jobin soon was castled and the Gokul who joined Shoukath in the middle resorted to safety first option. Shoukath too fell looking to up the ante after another promising steady partnership. Gokul and Ashsish struggled with a nagging middle-overs spell of 4 overs for 13 by Arun. The restless pair tried to make up for the many dot balls at the other end with mixed results. And soon the disappointing CECC batting performance closed at 100 at the end of 20 overs. Chasing 5 an over can often mess with the approach of the chasing team. 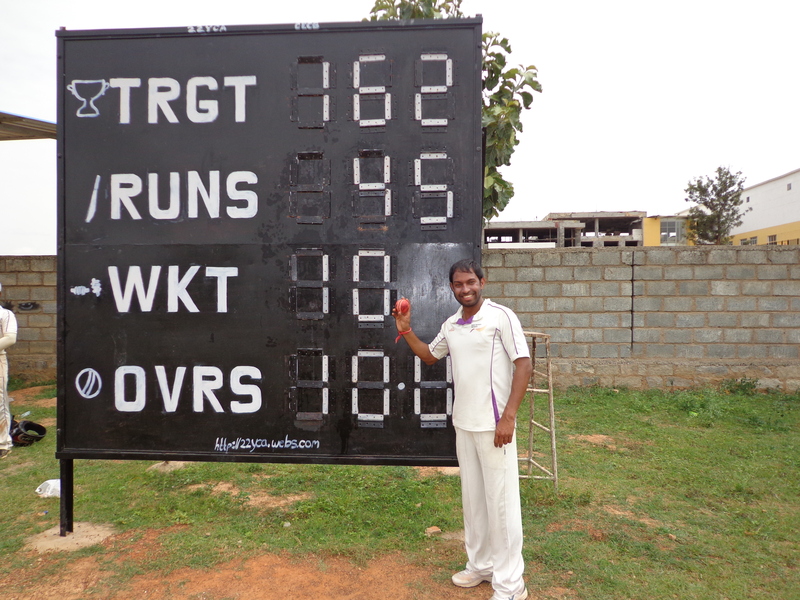 THBS started off with aggressive intent as both openers – Lalith and Arun – looked to go over the top with mixed results. 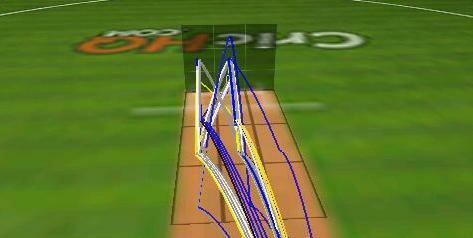 Crisp lofted drives were interspersed with many play and misses. 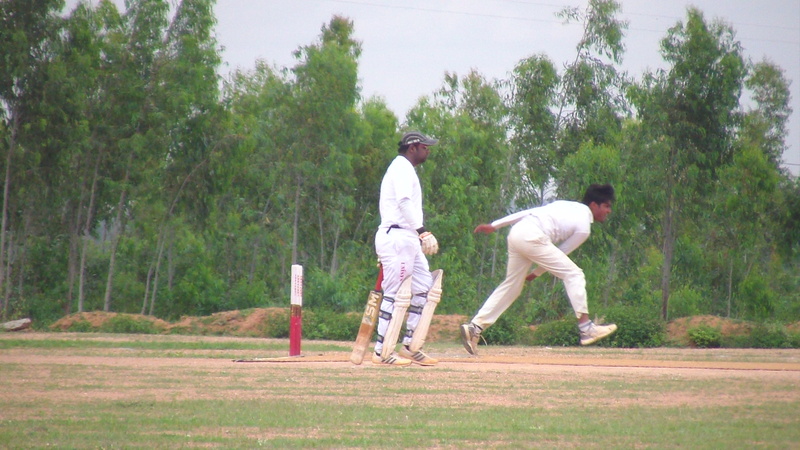 Some connections – like in the case with Arun – sent the ball out of the ground and misses – as was with both openers cost them their wickets. CECC kept the field up making THBS to go over the top. With the opening pair having reduced THBS to two down for not a lot in the powerplay overs, the game was still in the balance. It all changed rapidly as Bhargav came in to bowl. Managing massive inswing with a bit of pace he repeatedly found the stumps in a memorable spell of swing bowling. THBS batsmen were caught between being aggressive and assertive and kept losing wickets as Bhargav sliced through the entire middle-order with his pace and swing. He was ably supported by Jobin in keeping the runs down at the other end which meant that THBS were to take risks against Bhargav and they came up short. A total of 6 wickets in a little over 3 overs changed the game on its head and Bhargav played catalyst in CECC defending a very low total. Wowzers won the toss. That’s just about the only thing that went right for them through the game against table toppers NSN. 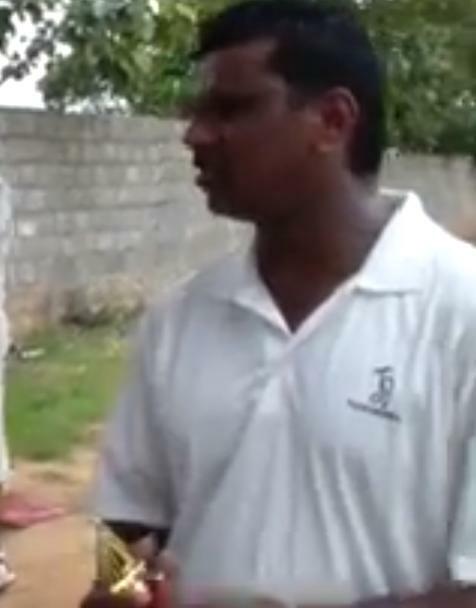 Rakesh hurt his ankle while bowling and it soon reduced Wowzers to a bowler less. Having already accounted for two NSN batsmen by then, it was a massive blow to Wowzers. Soon recurring issues of extras hurt Wowzers badly even though they managed to bowl enough good deliveries to keep producing wickets they were unable to build any sustenance of pressure which hurt their chances of keep the run flow in check. NSN capitalised on Wowzers’ largesse on a day when not many of their batsmen could build on Wowzers’s wayward ways. Only Deb seemed to be in the mood for a long haul as the rest were looking to bash quick runs and invariably perished. With a score of 100 looming at the end of 12 overs NSN managed to give away 5 wickets to open the danger of being bowled out without consuming their overs. Captain Gangadhar and Manish played with calm heads and feasted on the loose balls on offer as Wowzers’s bowling started to wilt after Karthik finished his overs in the last 3 overs and took their team to a big total of 162. The batting of Wowzers, if anything, was even more disappointing than their batting and Lalmani went about dismantling its top order with ease. He reduced Wowzers to 18/5 in less than 5 overs to shut the game down completely. Only Karthik backed up his good bowing with another spirited fighting performance with the bat that seemed to be lacking in most of his teammates. He played handsome strokes and remained unbeaten on 22 at the end of the innings. It was inevitable that Lalmani who had taken the third 5-wicket haul of the weekend should end the match with a direct hit from mid-off to run out Rakesh. With the win NSN move to the top of Group A with 6 points. 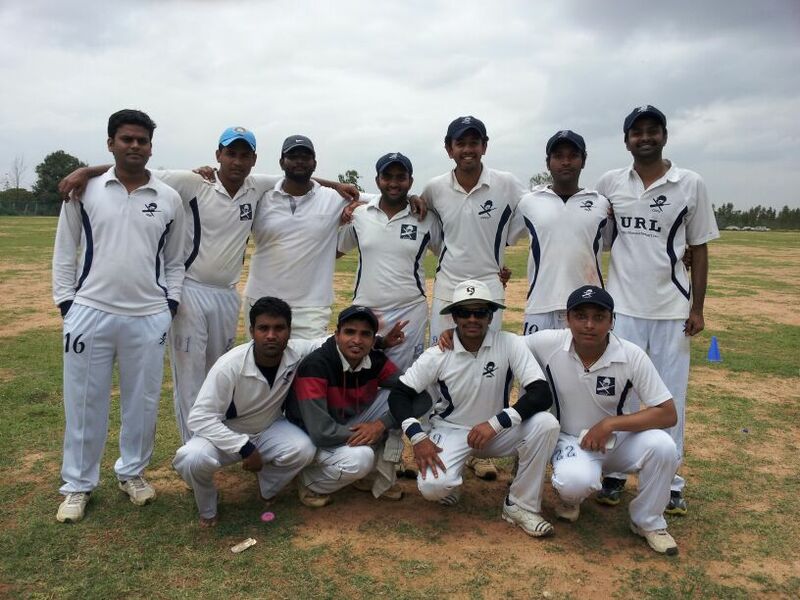 TCE T20 Championship Week 2 Round-Up: GE and BOLTZ Post Wins. Mixed-bag for IDM Cricketers. Week 2 of The CouchExpert T20 Championship was marred with incessant rains on Saturday forcing the games to be pushed to a later date. 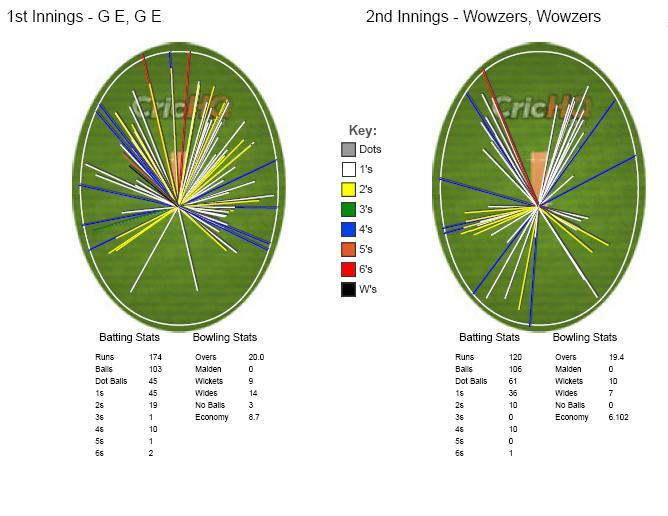 On Sunday, GE and Boltz posted wins while IDM Cricketers won one of their two games on the day. 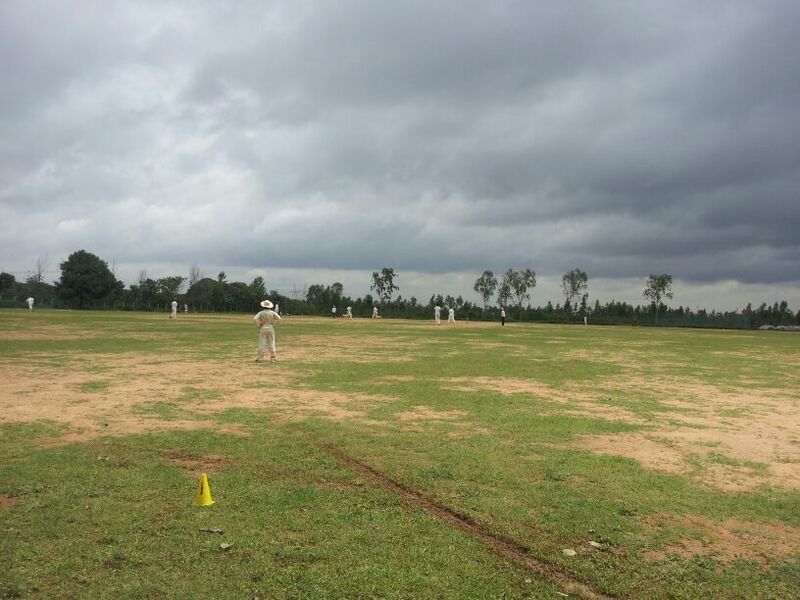 Having lost their first game last week, Unisys opted to bowl first on winning the toss on a slightly damp outfield – result of incessant rains throughout the week. Boltz opened with Sachin and Aseem and looked confident against a steady Unisys new ball attack. Sachin was his free flowing self though Aseem seemed to be struggling to force the pace initially and it was not a surprise when a strike-deprived Aseem was snared up by Harish in the 5th over of the match. The powerplay yielded only 31 runs, but the heavy outfield did indicate that the scores would be on the lower side throughout the day. Captain Sandeep joined Sachin and the pair seemed to have got used to the pace of the wicket as they found gaps with regularity. 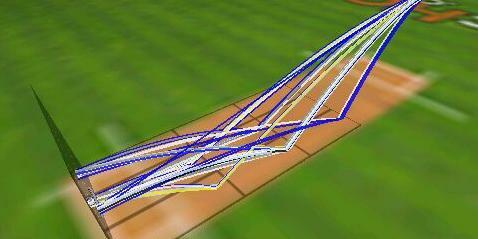 The pace picked up as the pair added a further 36 runs in the next 5 overs when Sachin fell. The heavy outfield ensured that the new batsman had to grind his way to quick runs with running between the wickets and Jyoti and Sandeep tried to up the ante with 8 wickets still in hand. A combination of Karthik and Mallikarjun denied Boltz any easy runs as the run rate was brought down to 6 after 14 overs. The pressure told on Boltz as the captain Sandeep was run out looking for those extra runs. 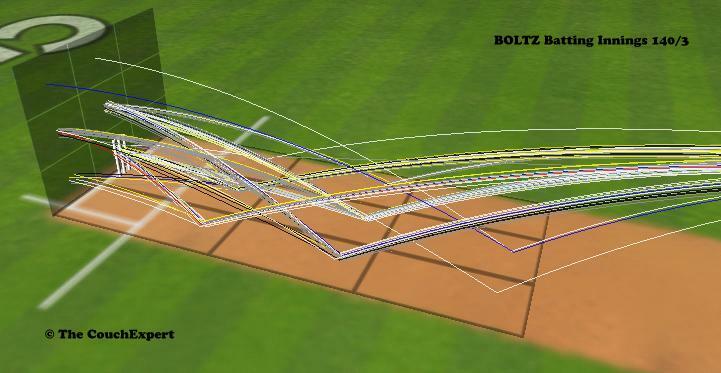 Things changed for the better for Boltz as Vikas walked in and showed tremendous ability to clear the long boundaries with his powerful hitting. Hitting through the field was a difficult proposition with the heavy outfield, But Vikas’s 14-ball unbeaten 30 with three huge sixes to mid-wicket in the last two overs pushed the total to 140 and set-up a challenging chase for Unisys. Vikas followed-up his tremendous finish with the bat with a fiery opening burst with the wall and accounted for Unisys’s opener Vivek for a duck in the fourth over. Bharath, on the other end played a good hand and found support from Sharath first and Sanjeev next only for both promising partnerships to be broken just as they threatened to cut loose. With 71 needed off the last 8 overs and 8 wickets in hand with a well set Bharath at the crease, Unisys seemed very much in the hunt before losing 3 wickets in the next 2 overs that set their chase back badly. Unisys found it hard to recover for those set-backs particularly, and not withstanding the late fireworks from Sandeep and Mallikarjun they were always going to be short of the total and lost the game by 11 runs eventually. Brief scores: BOLTZ 140/3 in 20 overs (Sandeep 41 (35b, 3X4), Sachin 33 (42b, 3X4), Vikas 30 not out (14b, 1X4, 3X6), Harish 1/23) beat UNISYS 129/8 in 20 overs (Bharath 35 (39b, 4X4), Vikas 3/17, Aseem 2/22) by 11 runs. GE won the toss and elected to bat for the second time in a roe in this tournament. Soon, their free flowing and attacking opening pair of Shimjith and Rajnikanth found it hard to tackle the tall IDM Cricketers new ball bowler Sathish. 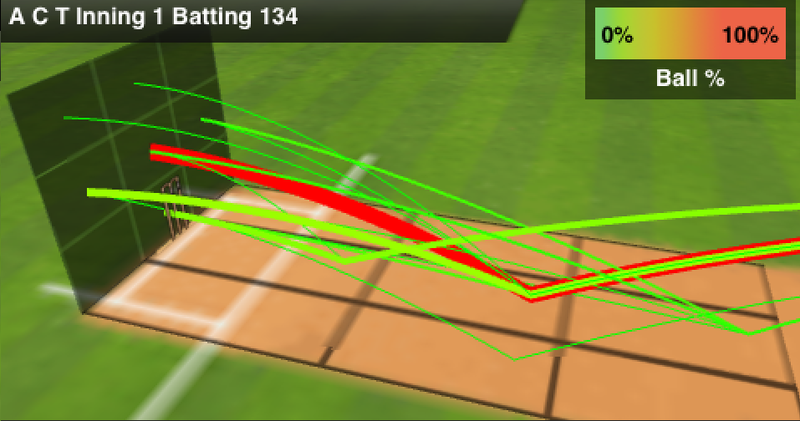 Sathish managed to extract considerable lift off the wicket and had them GE openers hobbling. 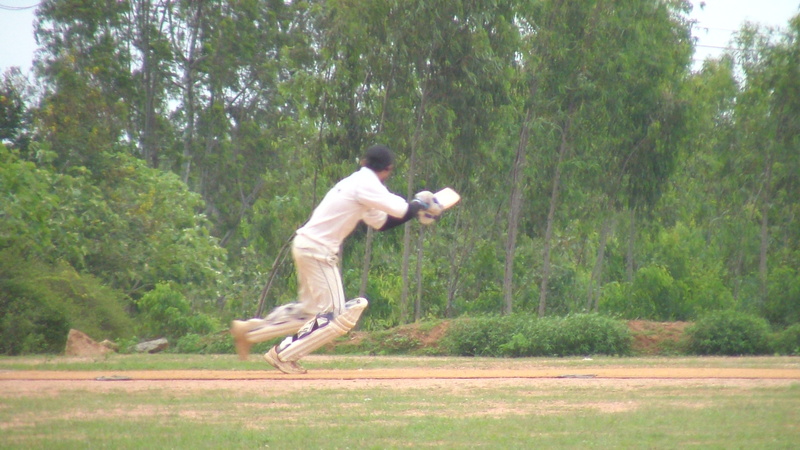 Sathish had Shimjith caught behind in the first over with another delivery that bounced from a length. 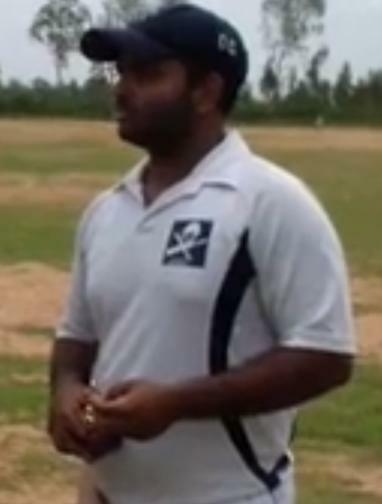 Things turned bad for GE when its captain Abhishek perished in the second over. 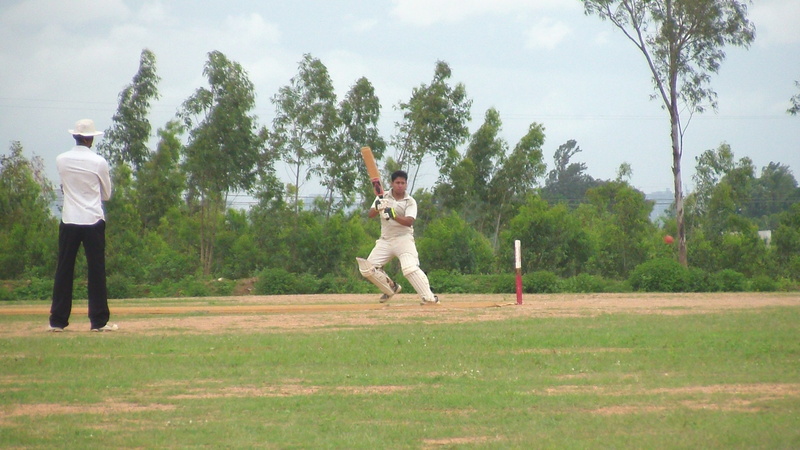 It brought Arvind who managed a half-century in the previous game to the middle. The pair of Rajnikanth and Arvind seemed determined to see off the very impressive Sathish and cut out loose strokes and managed to stitch a few overs together playing smart cricket. Just as Rajnikanth seemed to be getting the hang of things, he played on to another short ball from Sathish leaving GE 3-down before the end of the powerplay overs. It required the calm head of Dheeraj and Arvind to put the innings back on track. They relied on singles and hard running between the wickets to tick the scoreboard along. The left-arm spin of Sudhanshu along with the other slow bowlers – Nitin and Asheesh – kept GE in check throughout the batting innings as they struggled to build momentum into their innings. It was again left to Arvind to pull them out of the hole and he did that with tremendous planning and execution. He ground out the difficult early overs and rotated the strike admirably to build a platform and opened up towards the end of the innings with some innovative strokeplay as he manufactured 35 runs in the last 3 overs to push GE’s total to 127 which was a fighting score nonetheless. IDM Cricketers seemed to be in a hurry in the chase as Sudhanshu seemed to be following up his good bowling performance with a rapid start to the innings as he went after Abhishek. Nitin provided good company as the openers plundered runs in excess of 8 an over in the first three overs. With 27 up on the board just after 4 overs, the game was slipping away from GE’s grasp very quickly. Then Dheeraj bowled the over that changed the game on its head and irrevocably so. 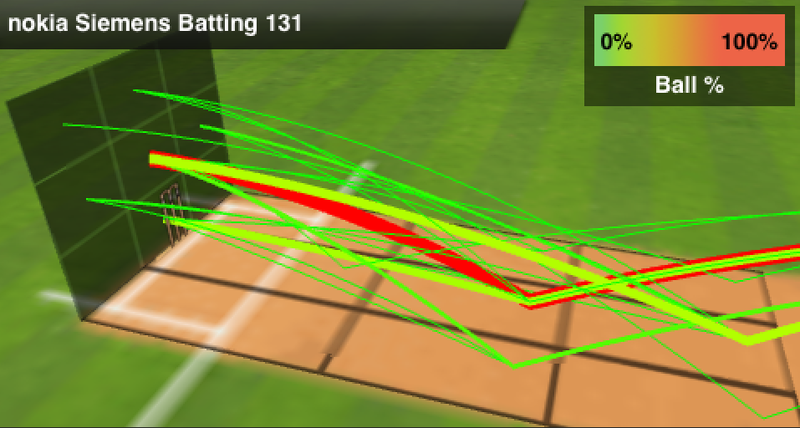 Dheeraj knocked over the aggressive Sudhanshu with his first delivery. He sent back the other opener Nitin and captain Kapil off the fifth and sixth ball of the over to have IDM Cricketers tottering at 28/3. Dheeraj came back to clean-up Swayam in his next over to knock the wind out of IDM Cricketers’ sails. 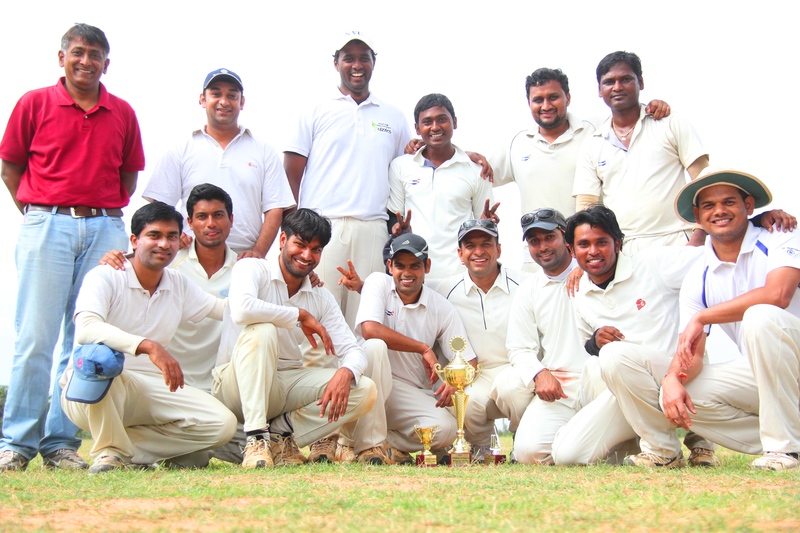 Dheeraj’s spell had changed the fortunes of GE dramatically in 20 minutes and had IDM Cricketers reeling. Bhaskar took over the mantle from Dheeraj and delivered the knock-out punch with four wickets of his own as IDM Cricketers were bowled out in under 12 overs for a paltry 60. 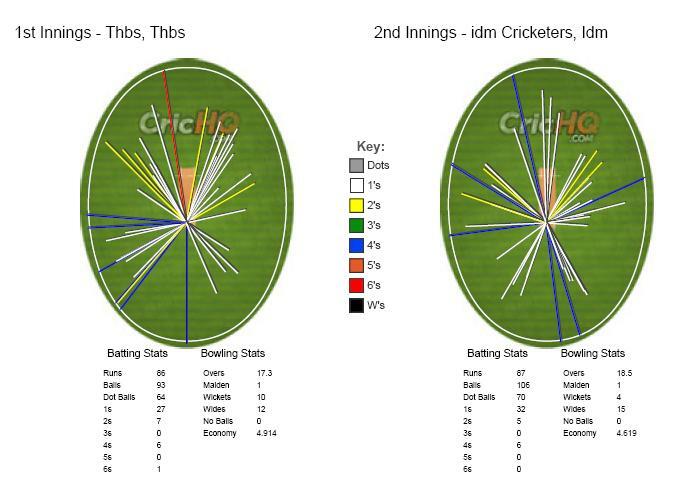 IDM Cricketers were playing back-to-back games. 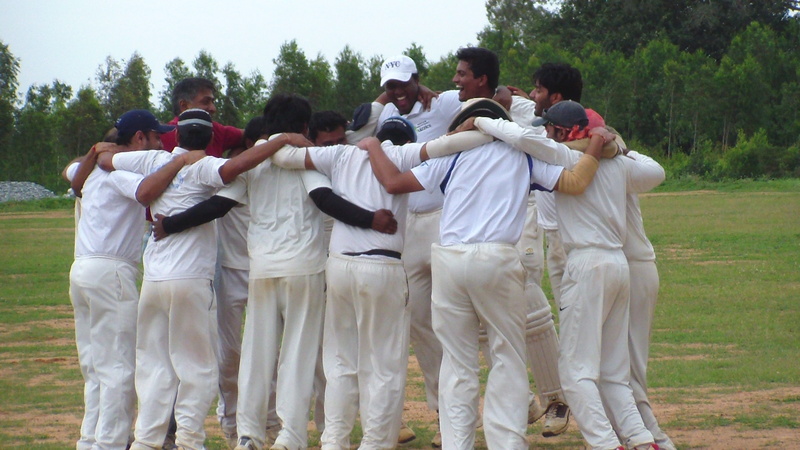 And having seen them struggle against GE’s bowling, EMC’s captain Sreekrishna was quick to pounce on the low confidence of the IDM Cricketers’s batsmen and inserted them in. 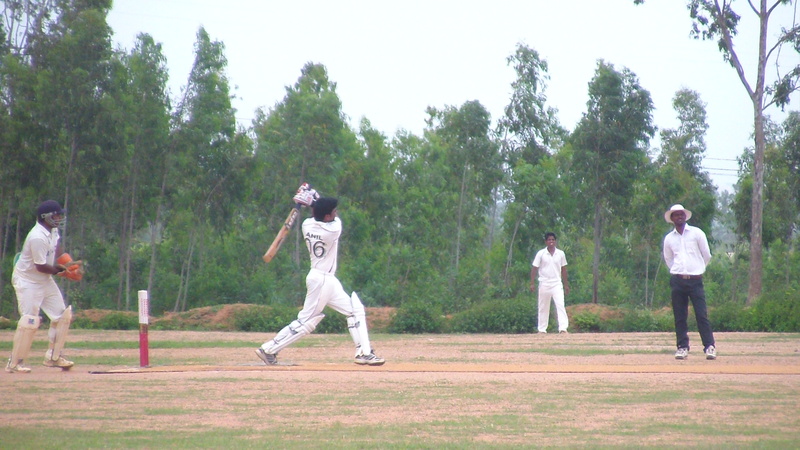 IDM Cricketers made a change and sent Swayam to bat at the top along with Sudhanshu. The move paid off well as both Sudhanshu and Swayam got stuck into some very loosw bowling by EMC. Only EMC’s new ball bowler Robin managed to have any control over the batsmen as all others struggled for consistency in lines and lengths in the powerplay. Sudhanshu seemed particularly in murderous mood as he stroked 8 boundaries in his 25-ball knock of 43. Swayam, on the other end, played a measured innings giving as much of the strike possible to Sudhanshu and opened up once Sudhanshu was dismissed. The introduction of vice-captain Jeethendra paid dividends as he accounted for Sudhanshu and then Kapil and Asheesh in quick succession. Any intentions of a a EMC fight-back was thwarted by Swayam who paced his innings masterfully with fluent strokes on the leg-side in particular. He batted through the innings giving the much needed anchor it missed in the last game and branched out in the end to remain unbeaten on 73 while pushing his team’s total to 180. Chasing 9 an over against a tough opposition was always going to test the depth and caliber of any batting side and EMC were now facing the issues IDM Cricketers found themselves facing in the last game. Their inability to string any substantial partnerships ensured that there was no constant pressure on the IDM Cricketers’s bowling. Only Fredrick, Jeethendra and captain Sreekrishna got into double figures but none went past the teens as EMC wilted under the pressure of chasing a monumental target eventually folding up for 88 in the 19th over. For EMC Cricketers, they had their second straight game with the ball with all their bowlers having a good time of it with the ball. “We were unable to execute out plans well,” rued a disappointed Sreekrishna summing up his team’s dismal performance.